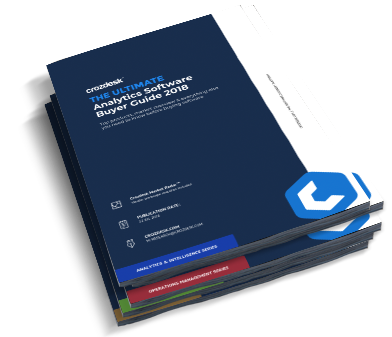 Download reports on a wide range of software categories, including our popular series of software buyer guides. Whether you are looking for a concise overview of a specific software vertical or want to compare top products, you will find what you are looking for in these PDFs. Best of all - as a Crozdesk user you can download them free of charge. Cloud software has become crucial to improve the operational efficiency of SMEs of any type, shape or form. You can find even more free guides, productivity hacks and other resources on the Crozdesk Software Blog geared towards scalling your business faster than ever before. As we move into 2018, Crozdesk took an in-depth look at the SaaS and cloud economy, analyzing over 19k companies. 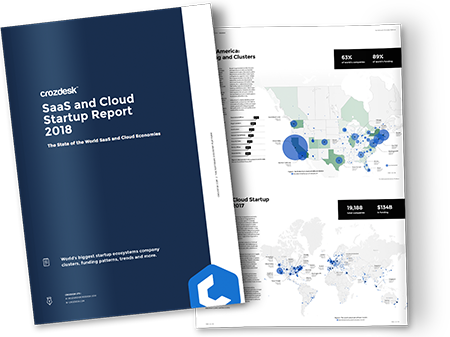 The report features the top 25 SaaS and cloud startup ecosystems around the world and takes an in-depth look at funding patterns / development across North America and Europe. It also includes market values, trends, predictions and much more. Available for download free of charge.